Welcome to the four hundred and seventy-seventh of my blog interviews with novelists, poets, short story authors, biographers, agents, publishers and more. Today’s is with multi-genre author Micki Peluso. A list of interviewees (blogged and scheduled) can be found here. If you like what you read, please do go and investigate further. Morgen: Hello, Micki. Please tell us something about yourself, where you’re based, and how you came to be a writer. Micki: I became a writer as a catharsis for grief, when my fourteen –year–old daughter was struck down by a drunk driver. A short story of the tragedy was accepted, which led to a writing career as a staff writer for one newspaper and freelance journalist for two others. I now live on Staten Island, New York and have recently published, . 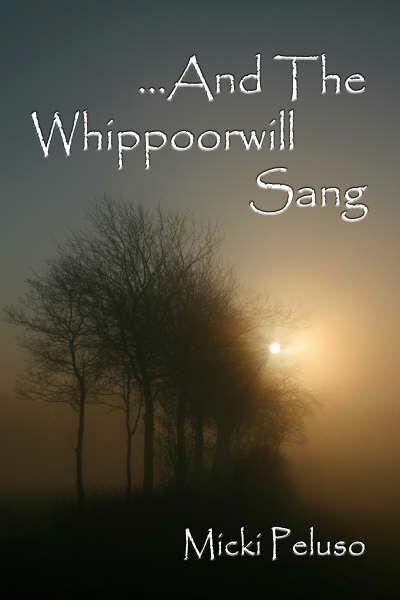 . . ‘And The Whippoorwill Sang’, a funny, sad, poignant family memoir of love, loss and survival. Morgen: I’ve often heard of writing as being a great therapy (I’ve written a story that was). What genre do you generally write and have you considered other genres? Micki: I write well in first person, and enjoy writing slice of life stories, especially humour. I taught myself to write short fiction and non-fiction in every genre except script writing. Morgen: I wrote a 102-page script for the now defunct Script Frenzy and it really isn’t for me (too bitty) but gave me a respect for scriptwriters. What have you had published to-date? Do you write under a pseudonym? Micki: I wrote under a pen name for one newspaper, but the rest of my work is in my own name. Most recently I’ve written Op-Ed pieces for my daily newspaper and short stories for on-line magazines and contest, such as Skyline, Cold Coffee and the Northesian. Micki: I was inundated with rejection slips when I submitted to magazines, but newspapers changed all that, and in 20 years I’ve never received a rejection from any of them. Micki: I was initially hurt and discouraged by rejection, but came to know that most times when one is rejected, it is because they don’t print that type of story. A hand-written rejection is actually a compliment as the editor took the time to write it. Morgen: It is, absolutely. Just the right thing for the wrong person and to have any feedback is a huge deal as they rarely have time. I was on a course with an author who received feedback (I think from People’s Friend) but took it as an out-and-out rejection and the story stayed on her computer. I’ve seen her work in print since then so it didn’t put her off. Have you won or been shortlisted in any competitions? Micki: Yes, I’ve won or placed several time in ACW Club, a writers site, Skyline magazine in print and on-line, the Northesian magazine, and Cold Coffee magazine. I’ve also won many times in the Writer’s Den, a critique site on-line. Morgen: Congratulations. 🙂 Do you have an agent? Do you think they’re vital to an author’s success? Micki: I was fortunate enough to have a publisher whom I knew, ask for my book, so an agent wasn’t necessary. She also taught her authors the secrets to successful marketing so I never needed a publicist. Morgen: Now there’s a guest blog topic I’d love you to write for me. 🙂 Are your books available as eBooks? Were you involved in that process at all? Do you read eBooks or is it paper all the way? 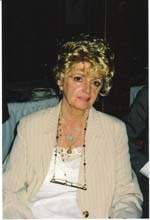 Micki: My book is available on my publisher’s site, LSPdigital.com as a printed book, e-book and Kindle. I do read e-books, but prefer the printed books, especially in my job as a book reviewer. Morgen: Ah yes, I have you on my reviews page. 🙂 How much of the marketing do you do for your published works or indeed for yourself as a ‘brand’? Micki: I do all my own marketing on-line, at book signings in book stores, but most successfully at community fund raisers and affairs. Morgen: Live events do seem to be a great way to have dedicated audiences. Do you have a favourite of your books or characters? If any of your books were made into films, who would you have as the leading actor/s? Micki: Since my book is a family memoir, I’m quite fond of all my characters. Years ago, when the book was half done, I had a cast of actors for my book, but that would be outdated now. Glenn Close could play me. Morgen: She’s a great choice. Did you have any say in the title / cover of your book? How important do you think they are? Micki: I was lucky in that I picked my title and I told my publisher what I wanted as a book cover and her cover artist made me an exquisite cover—exactly what I wanted. Morgen: Excellent. What are you working on at the moment / next? Micki: At present, I am directing my energies to marketing my book, since it was / is a deathbed promise to Noelle. I write book reviews for New York Journal of Books and Readertoreader, plus freelance reviews to keep my writing sharp while I’m involved in marketing. Micki: I manage to write something each day, even if it’s a grocery list. When I suffer writer’s block, I move on to another story and come back to that one later. Morgen: It’s the way I work too, clear the brain of it usually does the trick. Do you plot your stories or do you just get an idea and run with it? Micki: I tend to panzer the short stories and write solely by ear. After writing my only book with little organization, I will outline better with the next one. Morgen: But the characters will probably take over. Do you have a method for creating your characters, their names and what do you think makes them believable? Micki: Since I’m not as good with fiction, I usually give my characters the names of my family and friends to feel close to them. My characters are believable because I draw my readers into my stories. Micki: Yes, I write all three and have published all three. Micki: It is more fully formed, since I edit for others, but no writer should ever edit their own work solely, but have professional editors go over the final drafts. Morgen: Absolutely not. There was a chap on LinkedIn who said he didn’t need a second opinion and was (rightly so) shot down in flames. He was adamant so I wouldn’t be surprised if his eBooks were out there unedited. Do you have to do much research? Micki: I only need a lot of research when doing commentary for newspapers, although I dis research in my book, as we lived in so many places and I needed the feel of the each place. Micki: I favour first person and write it better than the other tenses. I practice third person for fiction and have done second person, but it works best in short, short stories. It’s both difficult to do and difficult to read. Morgen: I love writing second person but I agree, short definitely works best. Jay McInerney’s ‘Bright Lights, Big City’ is only 100+ pages long but I’ve never finished it. It’s very dark and gritty, which I normally love but yes, very wearing. Do you have pieces of work that you think will never see light of day? Micki: I keep everything I write, because when it doesn’t fit one story, it may at some point fit another. Many will never see the light of day but I can’t bear to throw them away. Morgen: My heart sinks whenever an author says they’ve destroyed something they didn’t like. I’ve gone back to old stuff and most of it surprises me (pleasantly). 🙂 Has anything surprised you about your writing life? Micki: Everything about writing surprises me—readers loving stories I thought were terrible and not liking ones I considered great. I’ve finally learned that to sell my work, I need to sell myself first. Micki: It’s been said often but remains true. Learn the rules before you deliberately break them. Keep writing and never take rejection seriously. Whether you sell what you write or not, you are still a writer. Morgen: You are. If you could invite three people from any era to dinner, who would you choose? Micki: I would be far too intimidated to invite any of my favourite writers, plus I’d have to hire a hall to hold all of them. Morgen: I’d fly to the US for that. 🙂 Is there a word, phrase or quote you like? Morgen: I’ve heard a variation and it’s true. I write a story every Saturday from a one-word prompt and am constantly amazed at what comes out from just one word. What do you do when you’re not writing? Micki: I am a law assistant for my daughter who is a real estate attorney. I spend time with family and friends, read a great deal, do crosswords and puzzles of all types and spoil my grand kids. Morgen: That’s what grandparents are for. Are you on any forums or networking sites? If so, how valuable do you find them? Micki: Again, way too many to fit here and I find the support invaluable. Morgen: Writers are very appreciative aren’t they of how much of a struggle it is to get published and make a living. What do you think the future holds for a writer? Micki: There have been writers since cavemen drew story pictures on cave walls. There will be writers as long as there are people. Writers chronicle the past, present and future. Morgen: Absolutely. Where can we find out about you and your work? Micki: LSPdigital.com, Amazon.com, AuthorsDen.com and http://mallie1025.blogspot.com. Happy times, a sunny day, a driving drunk—eight lives forever changed. It was a day like any other, except that the intense heat wave had broken and signs of an early fall were in the air. The dining room table was filled with my kids and three of their friends—greedily gulping down a chicken dinner. When the last morsel was eaten, they all took off in different directions, except for the youngest, who was ten-years-old. The one whose turn it was to do the dishes impishly offered me the sum of one dollar, to cover the chore. I laughed and caved in to that deceptive smile. The last one ran out the front door, calling out, “Bye Mom,” as the door slammed shut. And then the nightmare began. From the bizarre teenage elopement with her high school sweetheart, in a double wedding with her own mother, to comical family trips across country in an antiquated camper with six kids; Micki and Butch leave a path of chaos, antics and destruction in their wake. Just when their lives are nearly perfect, tragedy strikes—and laughter dies. A terrible accident takes place in the placid valley nestled within the Susquehanna Mountains in the town of Williamsport, Pennsylvania. In a state of shock, Micki muses through their delightful past to avoid confronting an uncertain future—as the family copes with fear and apprehension. One of her six children is fighting for her life in Intensive Care. Both parents are pressured by doctors to disconnect Noelle, their fourteen-year-old daughter. Their beautiful girl, funny and bright, who breathes life into every moment, who does cartwheels in piles of Autumn leaves, who loves to sing and dance down country roads, and above all loves her family with all her soul. How can they let this child go? The family embarks upon yet another journey, to the other side of sorrow and grasps the poignant gift of life as they begin . . . to weep . . . to laugh . . . to grieve . . . to dance. . . ‘And The Whippoorwill Sang’. From the beaches of Long Island, New York to the glitter of Las Vegas, Nevada–from the majestic Pennsylvania Susquehanna Mountains to Staten Island, New York, Micki’s stories travelled with her. She writes fiction and non-fiction often based upon her family life. Her greatest achievement is her children and grandchildren. Just ask them. Micki Peluso has twenty-five years’ experience as a freelance journalist for three major newspapers: The Staten Island Advance, The Staten Island Register, (staff writer) and The Princeton Women’s Magazine. She’s been published in Victimology: an International Journal, The Bronxville Women’s Magazine, Writer’s Digest School’s monthly magazine, Skyline Magazine in print and as e-zines, The Northeasterner Magazine, The Hudson Review Magazine, and others, poetry anthologies, and is a winner of many on-line contests. She reviews for Readertoreader, and The New York Journal of books. Her first book, . . . ‘And The Whippoorwill Sang’, is a funny family memoir of love, loss and survival. Micki’s website is http://mallie1025.blogspot.com. Morgen, thank you for this wonderful guided visit into Micki’s world. She’s a most gifted writer and an admirable person, Sharing groups with both of you is a privilege. Thank you, Marta. Micki is certainly an inspiration. Your interview with Micki is outstanding. I have read the book and can only say, I laughed, cried, and suffered with her throughout the book. MIcki is a wonderful, comical and gifted woman who I have the pleasure of knowing personally. Thank you for presenting her as the lively and caring writer that she is. I appreciated especially her comments about rejection and never throwing away what you write. Those two points are excellent advice for any writer. A few weeks ago, I did a book review on And The Whippoorwill Sang. To say that I enjoyed the book is an understatement. I laughed, I cried, and I suffered throughout the book. It is a book that I will not forget. It is imprinted within me. Today, Micki Peluso, the author of And The Whippoorwill Sang was interviewed by Morgen Bailey. Micki is not only an excellent and gifted writer, but she is also a wonderful person and I could not hold back from introducing you, my readers, to her. If you have not read the book, please put it on your list to read. You will not regret it. Micki is one of my favorite authors and I hope she has the time and energy to finish editing her collection of “slice of life” anecdotes Erma Bombeck-style! I loved And the Whippoorwill Sang and, by the time I finished her book, I really felt like a member of Micki’s family! Great Interview, Great Book, Great Author! Terrific interview. I love finding out new things about my author friends. Micki’s book is a wonderful, funny, tragic, and heart-warming story. Best wishes, Micki, on all of your current endeavors. Thanks for the interview. I have read Micki’s book. She has a way of writing that makes you care deeply about the characters and to feel the emotions almost as strongly as they do. It was good to get to know her better through your interview. Thank you Morgen for this insight in Micki’s World. Part of it was known to me when I read her book. It touched me deeply, emotionally, and it will be one of those books I bought and will never let go of again. She’s a very talented writer who has the gift of grabbing her reader’s attention and not letting it go again. I could hardly put “And the Whipporwill sang” out of my hands to catch some sleep after I got it. Your interview with Micki Peluso showed me once more that she’s not only a very gifted writer but also a wonderful person, helpful and supporting group member, great blogger and very special friend! Thank you Morgen and all those who made such lovely comments on this interview. I treasure each and every one. Morgen, thank you for this wonderful interview with Micki. I have read her book during which time I laughed so hard my sides hurt and then I cried with her as she endured the ultimate nightmare of sorrow. You provided additional insight into Micki’s life that has left me even more in awe of this loving person and writer. Again, I have enjoyed this interview as well as so may others you have done, with the two of you. Micki is an accomplished author whose work truly holds your emotions hostage to the end. Thanks so much for this interview and sharing so much. This is a great interview of a wonderful writer who I have come to know as just “MIcki”. I sit here writing this with a guilty heart because I am currently immersed in reading this fascinating book and feel that I should have completed it by now. I reserve this read for when I have complete quiet time without interruption. Hers is the best writing I have discovered in a long time and I savor every word as I move forward through her work, fully anticipating that I too will experience some heartbreak right along side of her. I love her book, her writing style and her own captivating personality that runs through it. Micki is the real deal. One last comment: I see a “two thumbs up” movie in your future Micki. Linda, thank you for your kind words. I have to say most people rush through my book because I never gave them a place to stop for a breath, since it was my first book. It’s nice to see someone going slow and savoring it–saves you from reading it twice like some people :). As for my writing, thank you again, but I am only as good as my readers see me. “From your lips to God’s ears ” on that movie deal. I am a true fan of Micki Peluso’s writing and found this interview to be wonderfully insightful. Everyone needs to read “And the Whippoorwill Sang”!!! THanks, Cole for your wonderul insights on this book. Nice to have a fan like you.